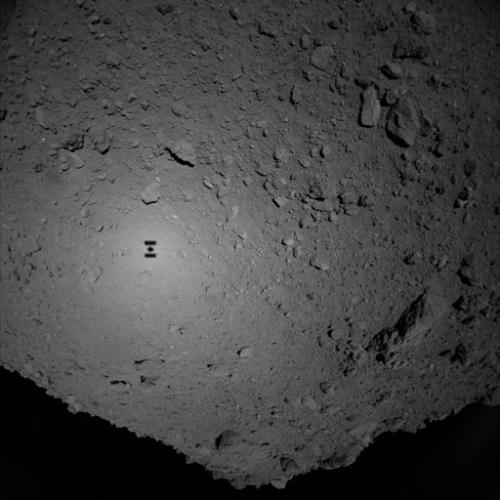 The Japanese spacecraft Hayabusa2 has deployed two small rovers on the asteroid Ryugu. The rovers appear to have touched down safely, but JAXA officials say they will not know until Saturday Japan time when the MINERVA-II1 rovers are scheduled to beam back pictures from the surface. 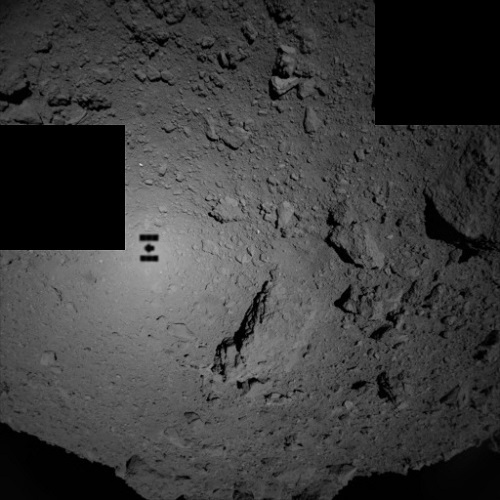 On the left is the Minerva-II1 rovers deployed by Hayabusa on asteroid Ryugu. 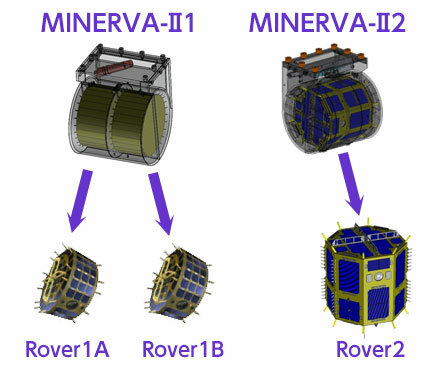 Minerva-II1 is deploying twin rovers on the surface. The Minerva-II2 rover will be deployed later. 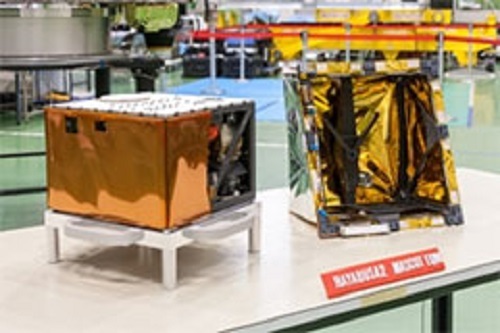 Hayabusa2 will also deploy the MASCOT lander supplied by the German space agency DLR and the French space agency CNES. It will hop around the Ryugu studying it with four instruments.